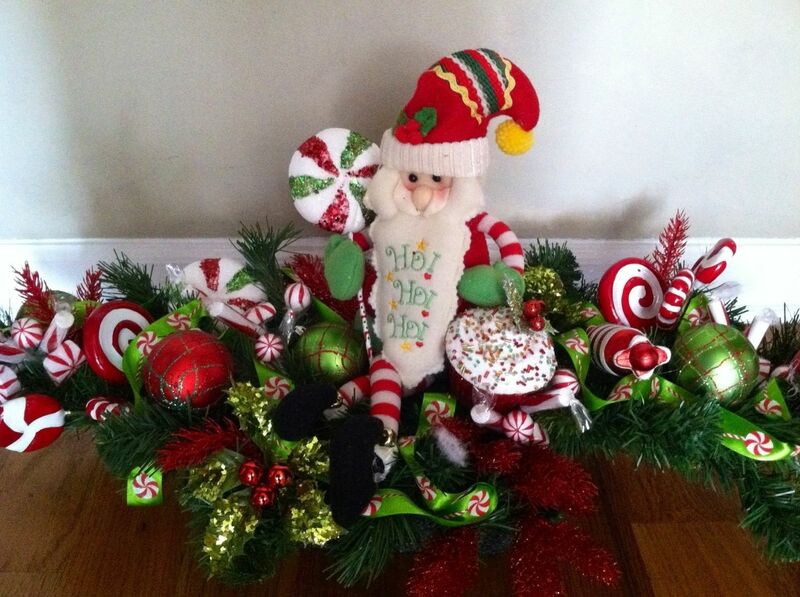 Beautifully decorated Christmas trees, Christmas centerpieces, wreaths on the door, etc. 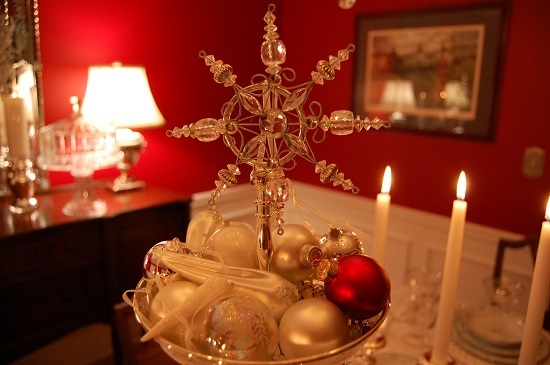 are some of the things that bring your home alive during the Christmas season. 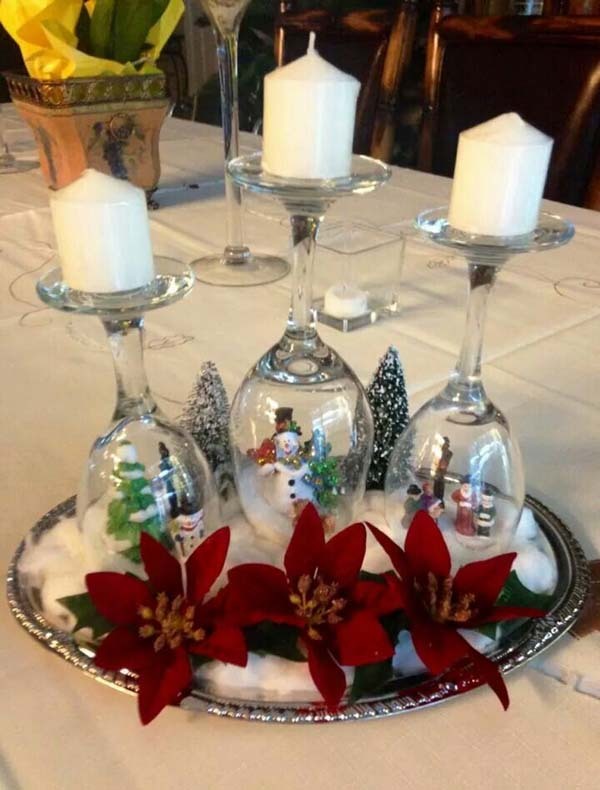 You can create elegant and mesmerizing Christmas centerpieces for the Christmas dinner so that it becomes a memorable event for your family and friends for a long time to come. 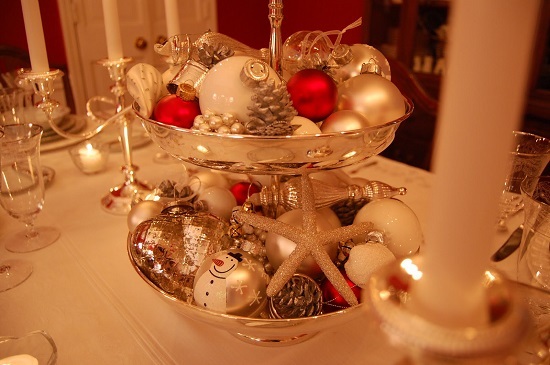 The below mentioned 35 modern Christmas centerpiece ideas for Holiday table will inspire you to come up with a wonderfully designed Christmas table that becomes the center of all your Christmas decorations. 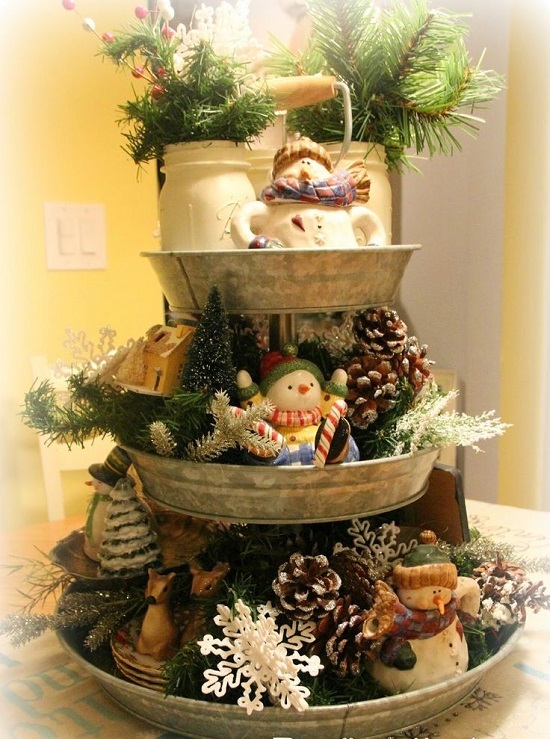 You can try out tiered centerpiece by using any tiered cake stand that is lying around your home. Steel and wooden stands are readily available in the market too. 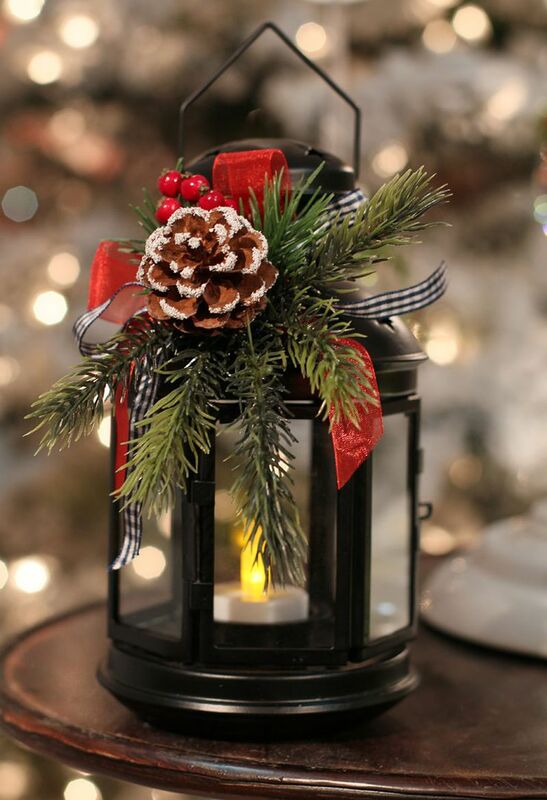 Use pretty ornaments in modern color combination to decorate the stand. 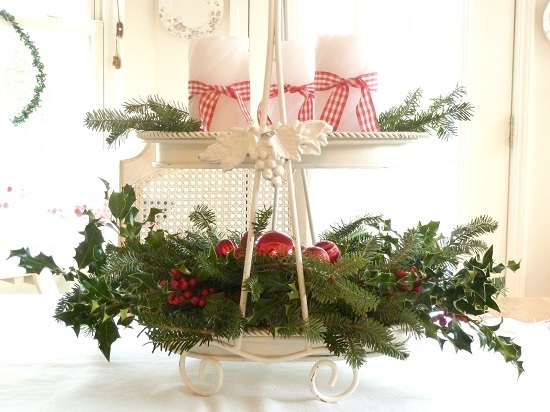 For an accent, ribbons or greenery can also be used. 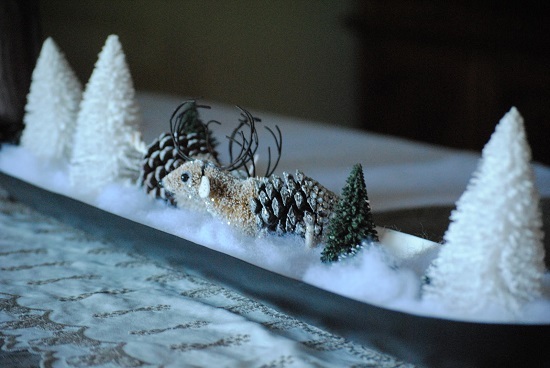 You can add pine cones from your backyard or even use Christmas tree trimmings for decoration. 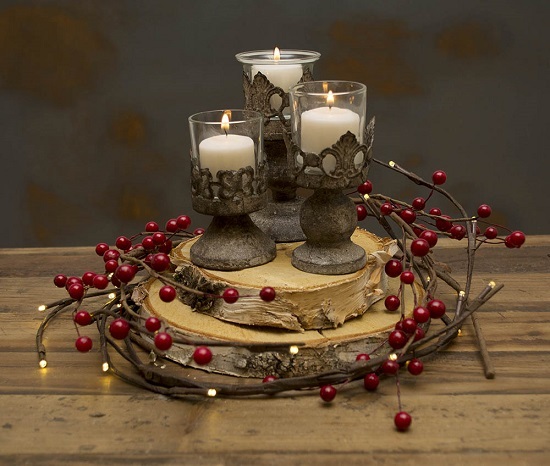 Setting tea lights on each level will accentuate the look further. 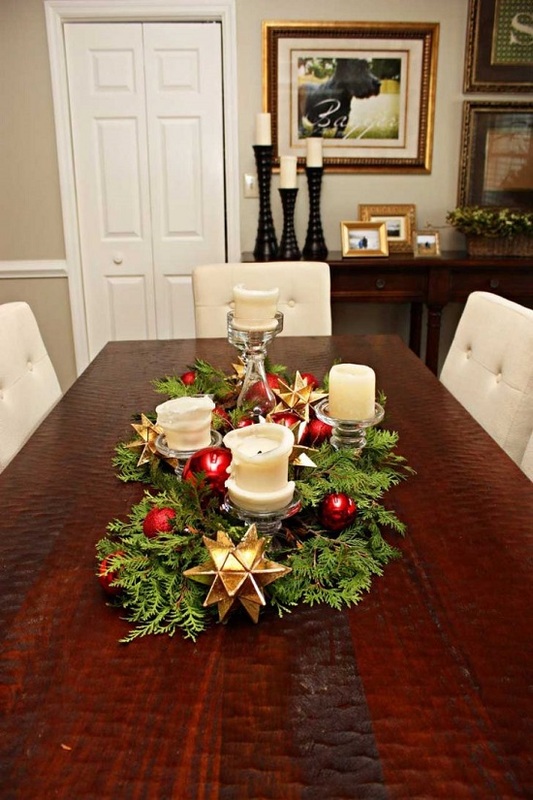 Tiered Christmas centerpiece for tables are a good option when your table is small. 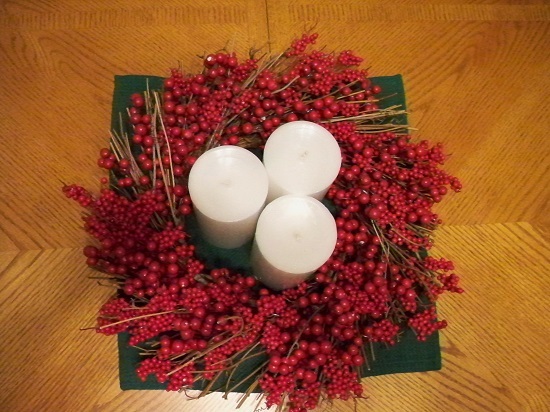 Another one of Christmas centerpiece ideas is to use candles. 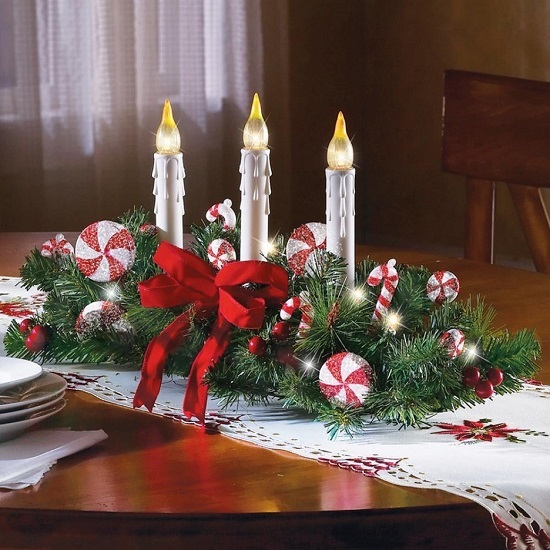 Lighted candles instantly lend a pleasing and calming effect to any table. 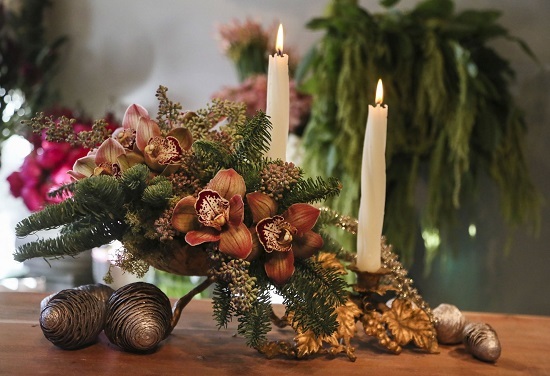 Warm candle lights undeniably create a magical atmosphere. 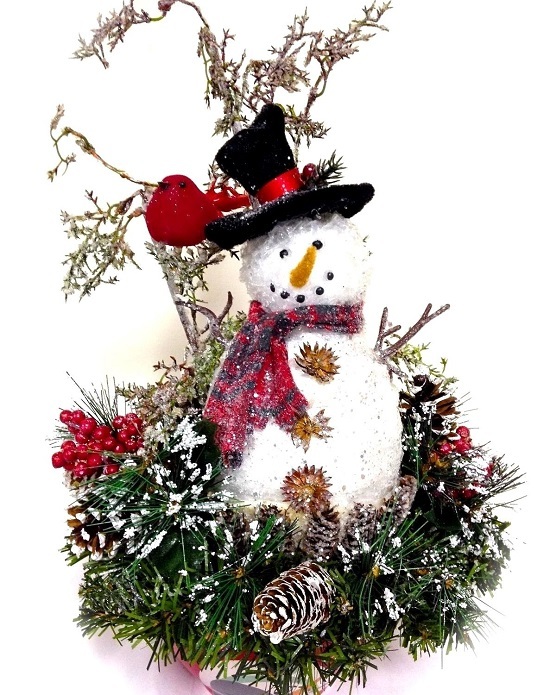 When used as Christmas centerpieces in combination with tree ornaments, wreaths, ribbons, foliage, felt snowflakes, pine cones etc. 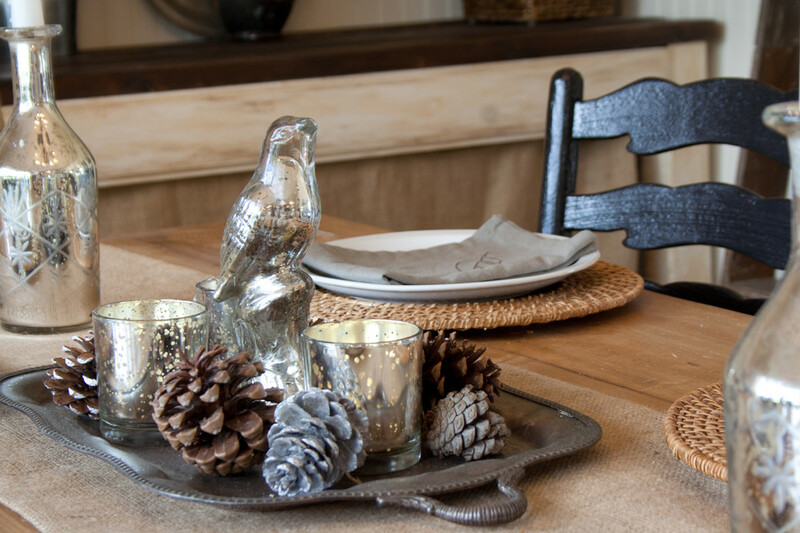 candles lend a very good aura to the table. 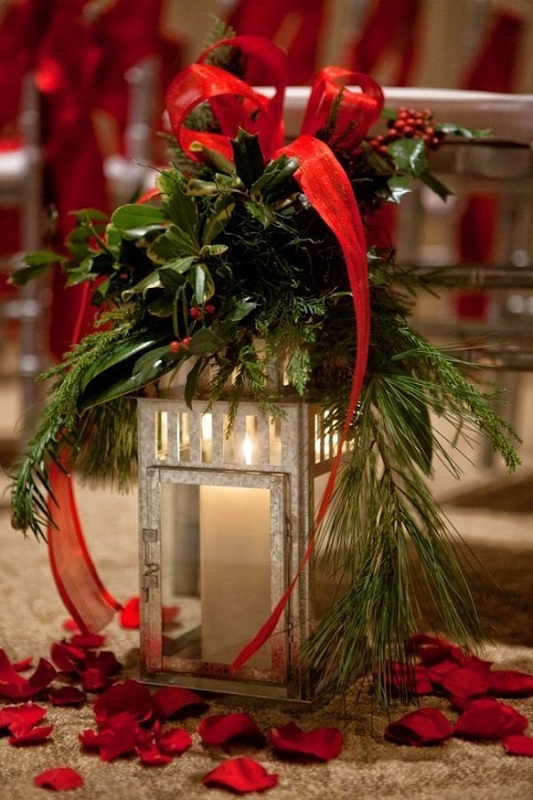 Christmas centerpieces with candles can be given a modern look by using fake or electric candles that won’t melt! 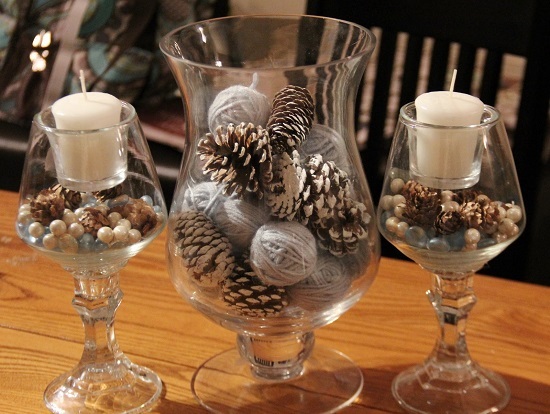 Mason jars and globes can be used in a variety of ways to make beautiful Christmas table centerpieces. 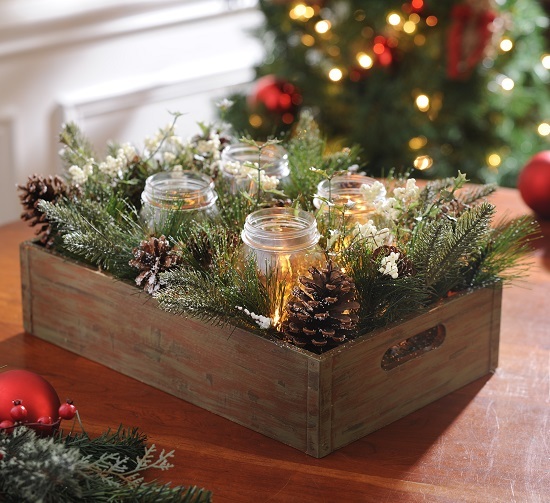 Jars of various sizes can be put together on a wooden or glass tray. 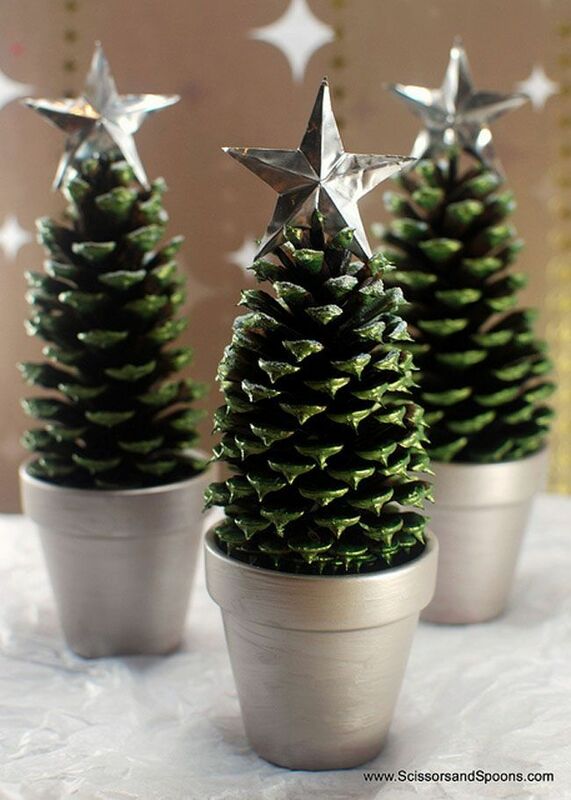 You can put miniature Christmas trees, candy canes, snowy pine cones, Christmas balls, Snowman etc. 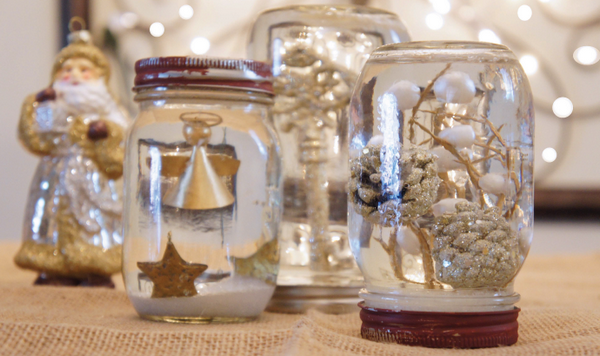 inside these jars. Just spread some foliage around the jars to complete the centerpiece. 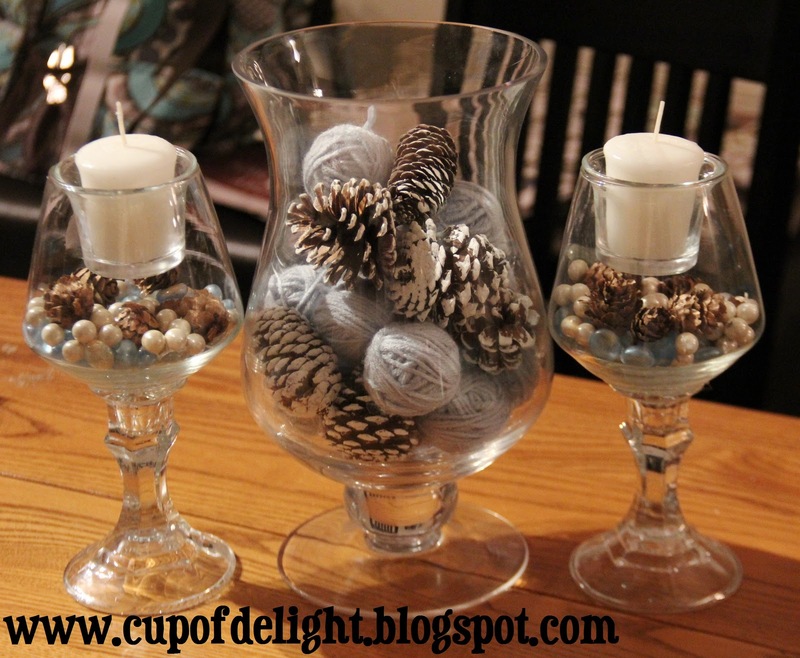 These mason jar and globes decoration not only looks pretty but is quite inexpensive as well. 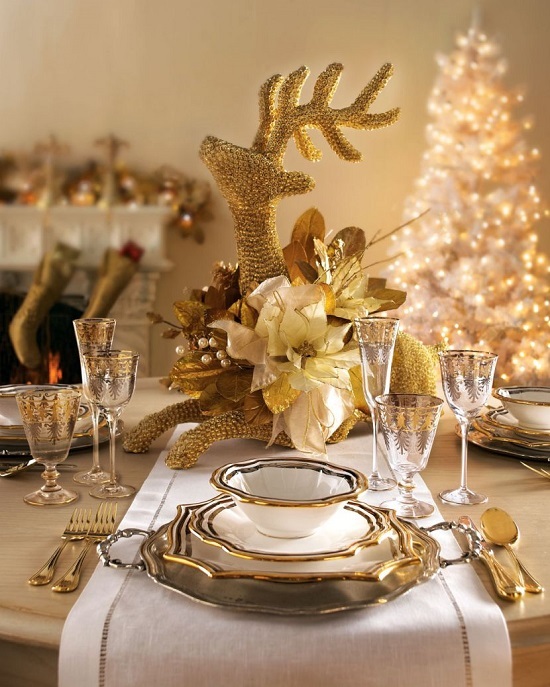 Try out the metallic color theme if you desire to give a luxurious look to your Christmas table. Any table gets a glamorous appeal when dressed in gold and silver centerpieces. 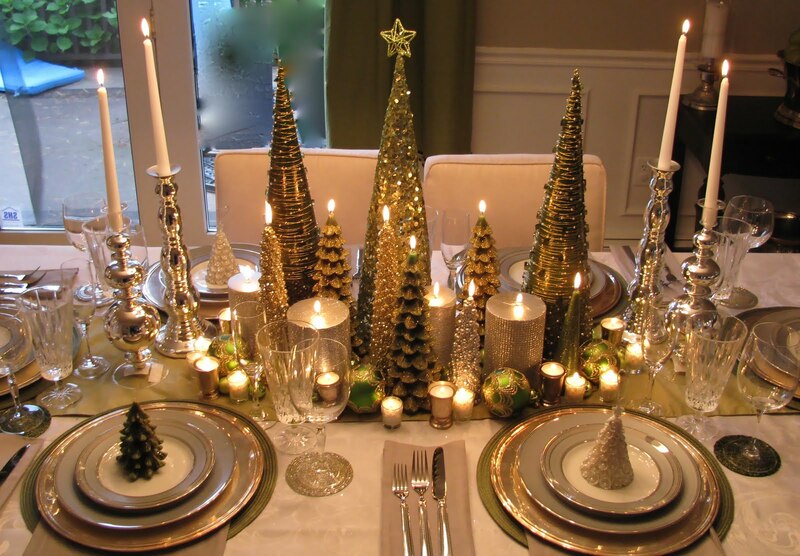 You can use gold or silver Christmas balls or can paint pine cones and mason jars in metallic hues for decoration. 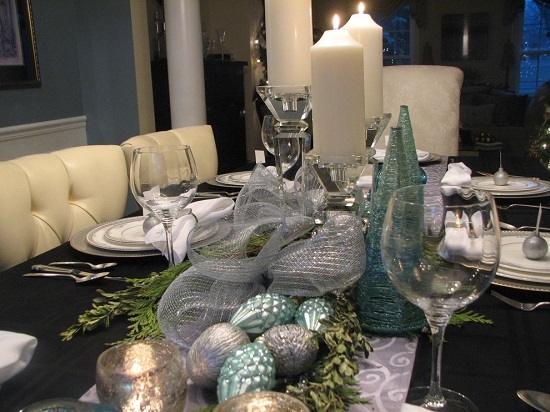 When used in combination with candles, the glow on the table will look fantastic. Fake flowers in gold and silver will also serve a good purpose in this theme. 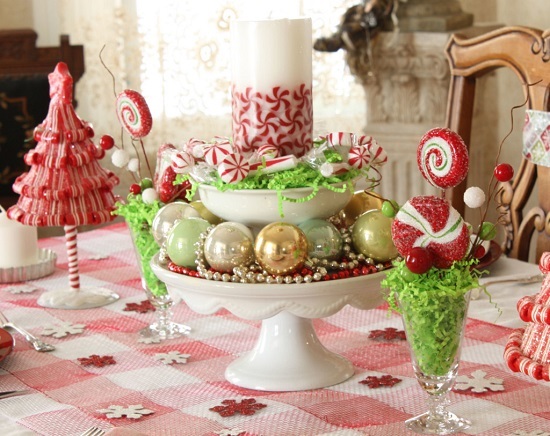 You can use gold or silver stands and trays to put the centerpiece. 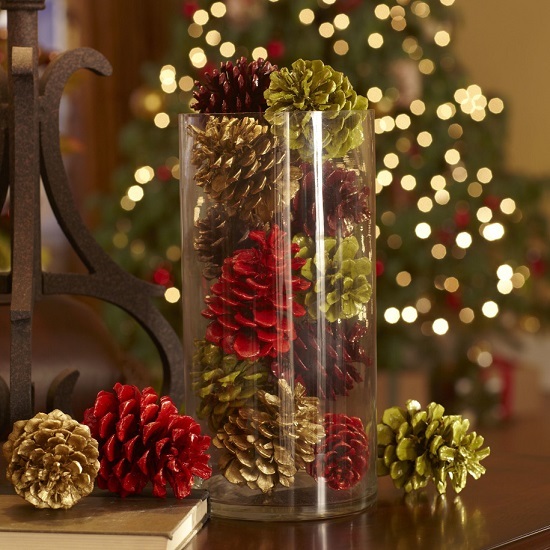 Crafting with pine cones is another inexpensive and fun idea for Holiday table centerpieces. 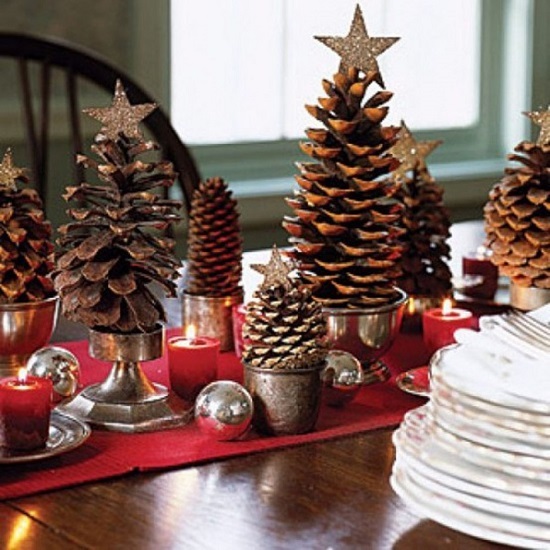 Gorgeous looking Christmas table centerpieces can be created by using pine cones. 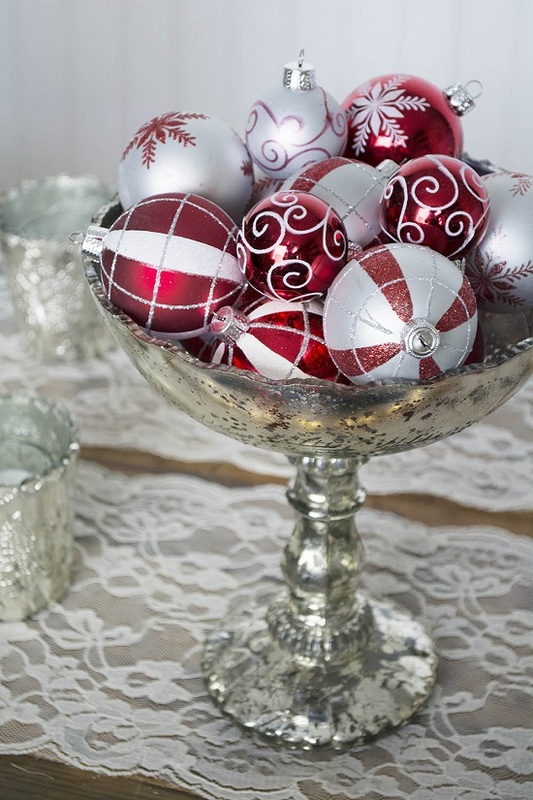 They are very easy to find and come as a perfect Christmas ornament. 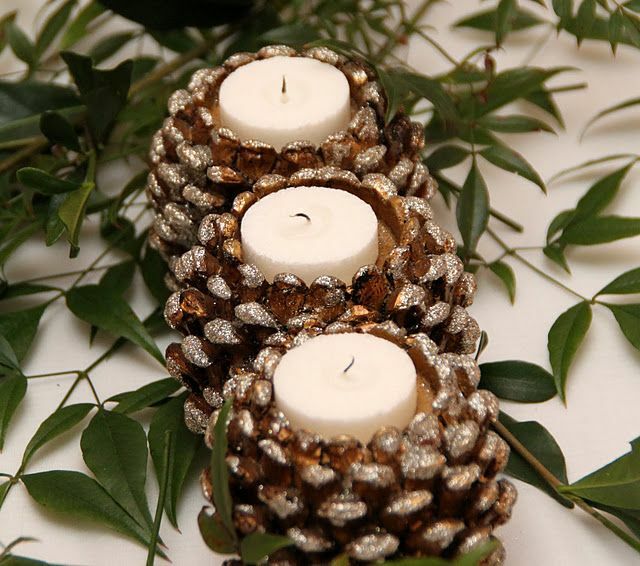 You can use glittered or snow covered pine cones for a beautiful effect. 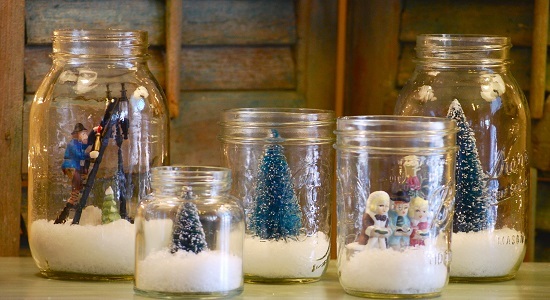 You can also color them in multiple hues and put them together in a mason jar or a globe. 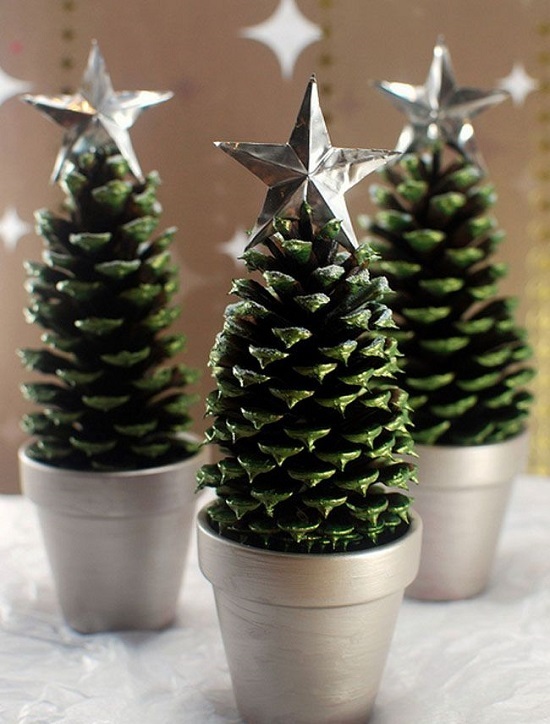 Just color them in dark green color and put a silver star on top of them. Put these in small colored pots. Your own miniature Christmas trees are ready to be put up as pretty Christmas centerpieces. 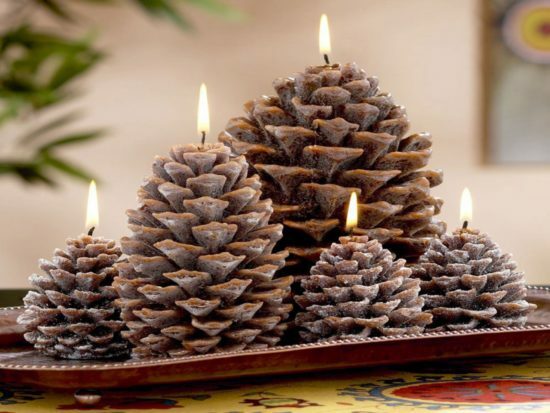 Pine cones as candle holders look equally mesmerizing. 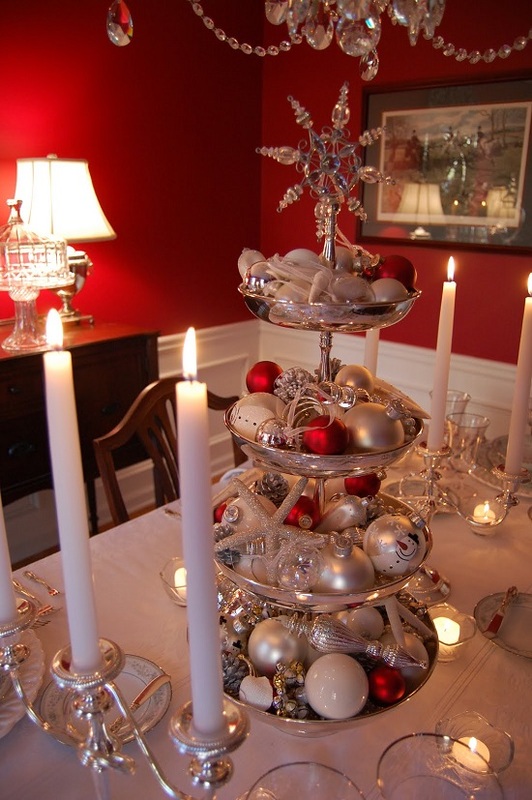 Elegant looking centerpieces for Christmas are not limited to the options mentioned above. In fact, there are a plethora of ideas that you can use. 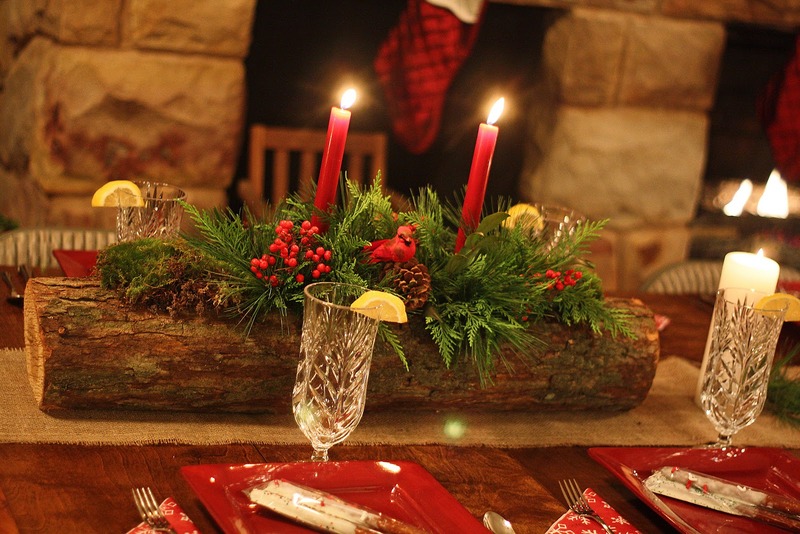 A wooden log or plank serves as a great platform for centerpiece decorations. 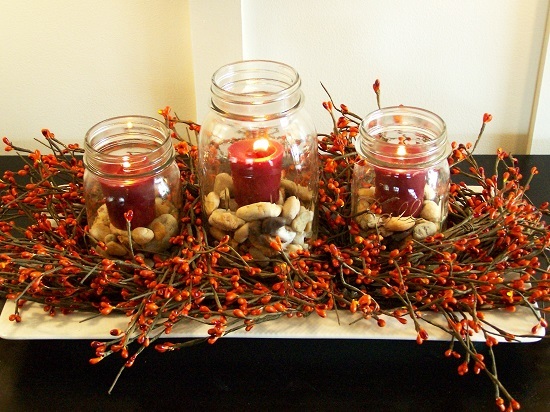 You can place candles or jars on it for that earthly appeal. 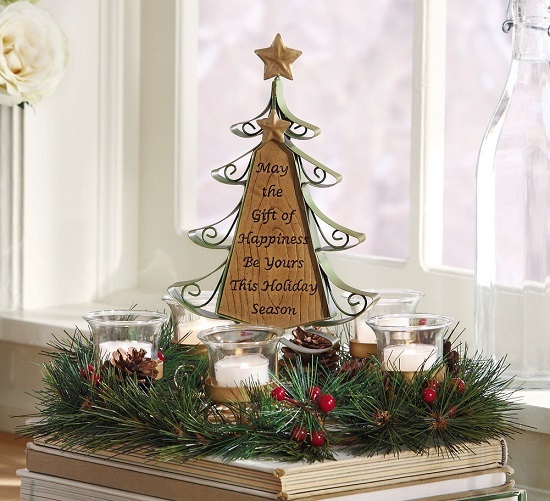 Centerpieces with messages is another good idea for holiday table centerpieces. A small Santa or snowman surrounded by Christmas goodies is sure to attract the attention of children. 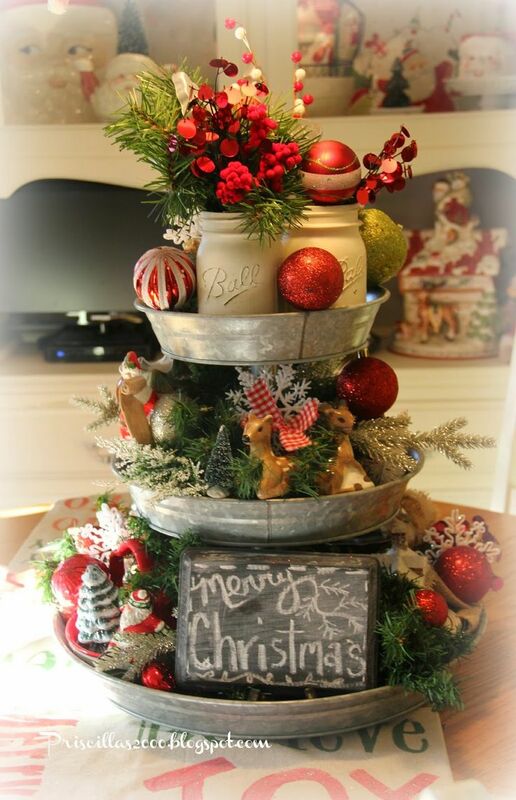 With so many Christmas centerpieces ideas to choose from, you can create a perfect Christmas table using stuff lying around in your home. 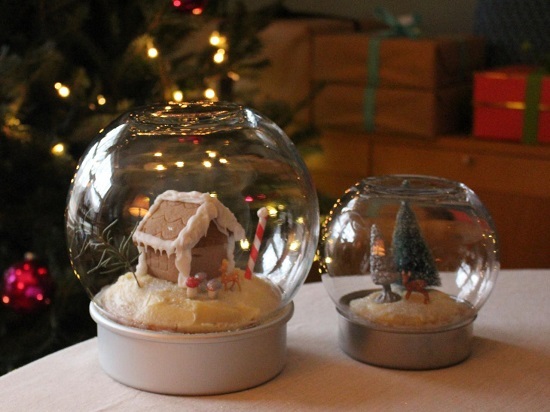 A little time and imagination is all you need to make this Christmas truly memorable.